Hubbard's Impala Parts, Inc is pleased to announce a new product for 1965 Full Size Chevrolet's. 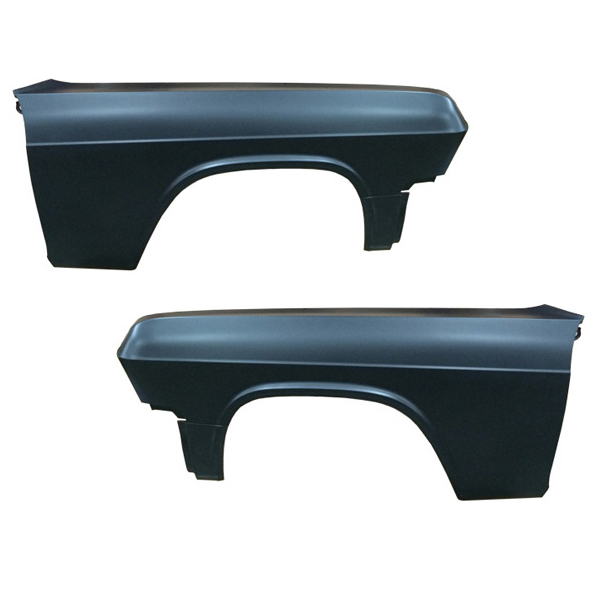 These fenders are an exact reproduction of the original 1965 General Motors manufactured product. They come with the front fender extension and are stamped out of 18-gauge steel. You can order this product directly from the online store, or call and speak to a customer service representative (336) 227-1589. Hubbard's Impala Parts, Inc (HIP) launches a new eCommerce platform on it's primary domain (www.impalaparts.com). The platform includes a facelift with a soothing color pallet and a streamlined shopping experience. The new platform was designed with the goal of increasing continuity between the companies diverse sales channels. The staff of HIP is excited about the new platform and is looking forward to the platform providing excellent service to their customers. HIP encourages feedback from users of the new platform.